The zombie genre has overflowed with titles recently, and there hasn’t been any shortage of plots dealing with general world-altering apocalyptic events either. It was therefore nice to see a novel that deals with the idea that “sometimes they come back” in an original and poignant way. Mott’s first novel brings some success just in its premise, loved ones returning mysteriously from the dead, breathing and alive as if they had never left in the first place, and the heavy emotional burden this drags up for those who fought hard to come to terms with their passing, now faced with them back. This is a subject with broad emotional appeal, a plot that is ripe for awards, and adaptation. It isn’t surprising to see that it has already been bought up by Brad Pitt for translation into a TV show, network TV, so I have little hope for it. But still. The novel even feels like a TV show to begin with, episodic and fleeting, rarely answering any big questions or dwelling too long on any one particular scene or character, going from one quiet moment of introspection into another, until finally coming to jarring action at the novel’s conclusion. The novel focuses on two main characters, now in their elder years, faced with the return of their young son, lost to accidental drowning decades ago. But each chapter is interspersed with brief glimpses into the lives of other “Returned” and the ‘true’ living into whose lives they have re-entered. In many cases these little snippets seem more interesting than the main plot and characters, making the reader sad to know they won’t be able to stay long with these newly introduced storylines. 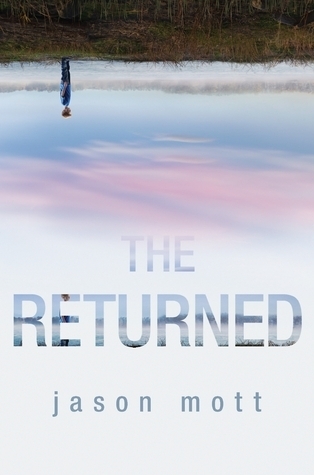 The strengths of “The Returned” are in its straightforward writing style that breezes by, yet allows deep emotional resonance between the reader and the characters. In the normal zombie troupe the returned are the monsters, set on destroying life and civilization. Here is kind of the reverse. The Returned are strikingly normal, yet still otherworldly and threatening. Society reacts in fear and loathing, and in some sense necessity as they realize that the already over-burdened Earth can hardly handle an even greater population – the resources, the space, simply aren’t there. While evoking humanity and love and awe in some, the Returned awaken hate and prejudice and disgust in others, setting up the violent clashes that the close of the novel feature. If the quiet moments of introspection are among the novel’s best moments, the weakest moment (other than its general structure as mentioned) is its turn to action at the end, too little, too generic, too late, leaving enough uncertainty to make clear that future novels set in this universe will be due out, lessening the impact of this work on its own. For people not really into sci fi or fantasy this would still be a book they would enjoy because of its broader emotional appeal that truly lies at its heart. It is an excellent concept, done reasonably well, and which will surely make for a successful TV program. It’s not the best it could be, but it should certainly be popular.